You may recall Doug Fister from his time on such shows as “Tall Pitcher Dude Is Good”, and “Tall Pitcher Dude Is Not So Good”, and “Where in Triple-A is Tall Pitcher Dude?”. Fister’s career went from Cy Young vote receiver to dude without a job in a manner of a few seasons. That brought him to the Rich Hill portion of his career, where he signed with Boston mid-season, was better than expected, and then left for a larger contract with a different team featuring blue uniforms. For the Red Sox, what went right was Doug Fister being bad for the Astros in 2016 then awful for the Angels Triple-A team to start 2017. The Angels started 13 different pitchers in 2017 (only three of which had FIPs under 4.00) and still somehow none of them were Doug Fister. It was with that background that Fister was cut loose and signed with Boston. There he proceeded to be…okay. There were some disaster starts, especially at the beginning of his time with the Red Sox, but mostly Fister was exactly what the team had (probably) hoped he’d be: a perfectly acceptable back-of-the-rotation guy. In the end Fister gave the team 90 innings that were worth, depending on which WAR measure you use, somewhere between a win and no wins. Regardless of which number you put on it though, the Red Sox needed someone to pitch innings and Fister did that without getting hurt and generally without setting off the pitching version of a grenade in the first inning. It’s not the type of thing that gets your face mangled on a copper plaque in upstate New York, but it was the minimum requirement for the Red Sox to meet in order to finish the season in first place. Fister met that requirement and the Red Sox met theirs. Fister pitched so acceptably that he got the start in Game Three of the ALDS against Houston. In retrospect, that start went appropriately well as Fister got bazooka-bombed for three runs in an inning and a third. It probably should have been much worse, but the Red Sox won anyway. I discussed Fister back in September in a piece called The Same Old Doug Fister. The notable thing about Fister’s success was how much it lacked note. It wasn’t based on anything particularly new or noteworthy beyond a slight uptick in velocity. All of that was and remains true. Fister could go to Texas and get cut in May or he could wind up pitching in the All-Star game. It’s pitching. None of those outcomes are off the table. 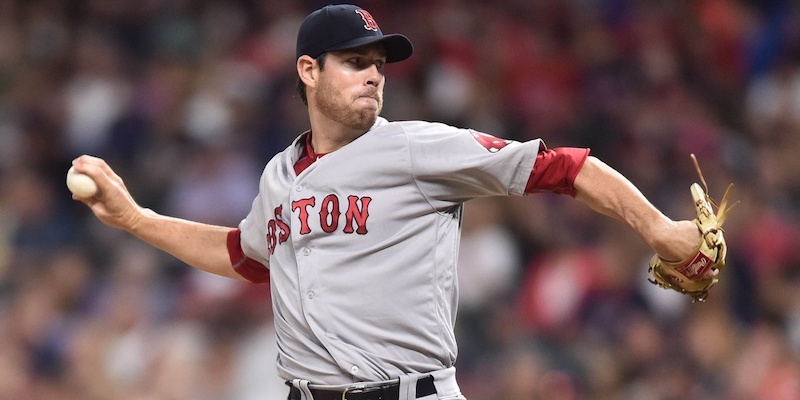 What went wrong was the confluence of events that led to the Red Sox signing Fister in the first place. Eduardo Rodriguez’s injuries, Steven Wright’s season-ending injury, and of course, the pièce de résistance, David Price’s on-again-off-again injury status. All of those guys possibly save Wright would have been upgrades on the pitching Fister gave Boston. In the end though it’s difficult to say it would have made much of a difference in the end though. Perhaps if Price had stayed healthy all season and contended for the Cy Young, the Red Sox might have been able to beat the Astros, but even then that would have been an extremely tall order. But I digress. As for Fister, what went wrong was pretty much nothing. He came to Boston and pitched well enough and now he has a team to pitch for in 2018. Happy things. Who cares because he signed with the Texas Rangers so hopefully he’s terrible again. Fister had a bounce-back season in 2017 as pitchers sometimes do. That it was for the Red Sox rather than against them was, I suppose, preferable as these things go. Fister was able to throw pitches and get some outs for our team when we needed someone who could do those things. He did them, and now he’s going to do them elsewhere which, in the end, is probably the best of possible outcomes for the Red Sox, then, now, and in the future. On the subject of pitching, I wasn’t really hoping for a Fister return, but I was hoping the Sox would pick up Yusmeiro Petit for a couple of years–long relief, which Sox could use, and a lefty, if I recall correctly, filling some avowed needs. Sorry he went as quickly as Fister. The good news for the rotation is Hector Velasquez is still around; in 2018, he will become a full part of The Show after more injuries to the injury crowd (E-Rod, Price, whoever).